Basic Pan Gravy from Thanksgiving Dinner, 1990. Excellent vintage condition. 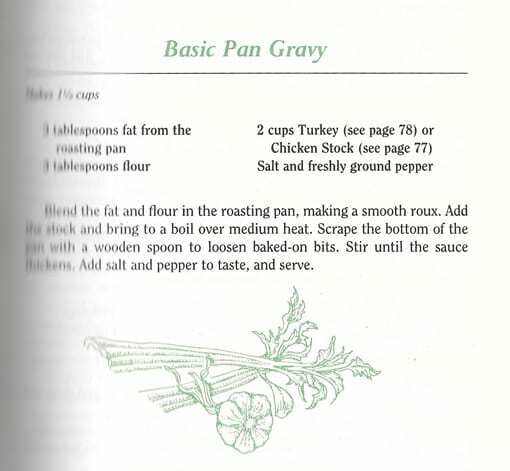 Basic Pan Gravy from Thanksgiving Dinner, 1990: Here’s a recipe you’re gonna need. 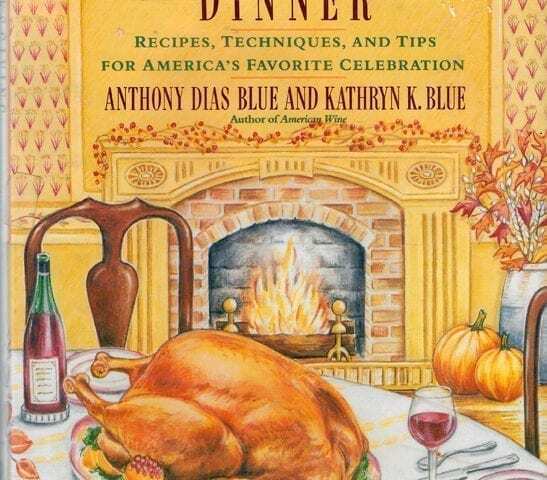 Thanksgiving Dinner: Recipes, Techniques, and Tips for America’s Favorite Celebration, 1990: Cookbook written by Anthony Dias Blue and Kathryn K. Blue. Published in 1990 by Harper Collins, Publishers. Hardcover book with dust jacket. 208 pages. Book is in near mint condition. Former library book, so it has those markings. This book has everything you need to know about planning, cooking, and serving Thanksgiving dinner. 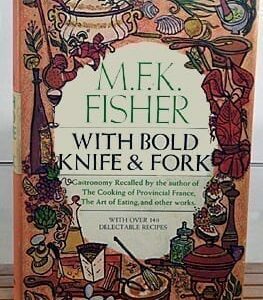 It even has a chapter on leftovers. (It doesn’t tell how to deal with gluten-free daughters, nieces who don’t like turkey, or significant others who are vegetarians.) 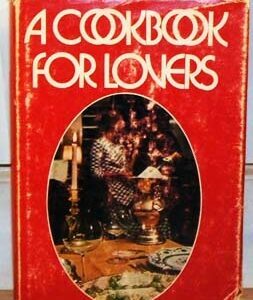 It has chapters on appetizers and soups, turkey and other poultry, stuffing, stocks, gravies and sauces, vegetables, condiments, breads and muffins, desserts, leftovers, wine and other beverages.